Pfafftown Piano seeks to inspire all ages with a love of music. Tucked away in a peaceful reserve, Pfafftown Piano guarantees that students will be taught exceptional music education with the belief that everyone deserves top-notch instruction, no matter the age. Children as young as age 3 are welcomed into the studio, as well as adults in their 90s. It is never too late to begin your music journey! Ruth Beasley, Student Teacher, is a young musician, who with the guidance of her piano teacher, is aspiring to teach music as a student teacher and become a professional pianist. Ruth has received her high school diploma, received a superior rating in the 2018 National Guild of Piano Teachers Auditions and serves as accompanist for Peace Baptist Church. She is excited to begin extending her education, sharing it with other excited young musicians and being a part of Pfafftown Piano. Ruth teaches on Thursday afternoons in 2018-2019. Amy P. Turner holds degrees in Organ Performance and Church Music from Meredith College. Amy has spent over 26 years teaching music to children and adults in various capacities including children's choirs, handbell ensembles, voice coaching, group music classes, private instruction, individualized lessons for those with special needs, and even the blind. She has served as accompanist, pianist, and organist in multiple organizations, churches, and volunteer positions across the state. Amy thanks her supportive parents and her very first piano teacher for their willingness to ignore skepticism about her tender age and start Amy in piano lessons at age 4. 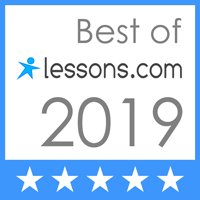 The studio is ranked as one of the best in the area by Lessons.com. Amy is a member of the National Guild of Piano Teachers and the Winston-Salem Piano Teachers Association. It is Amy's joy to teach children and adults from all walks of life, and she cannot wait to share this delight with you!